VM will not vMotion because CD-rom is detected as mounted by another user. Option to disconnect or remove CD-rom is unavailable/grayed out under settings of VM. Open the VM’s Console, select the CD-rom drive icon and select disconnect. As obvious as this seems, I found myself chasing a rabbit trying out methods to fix this issue. 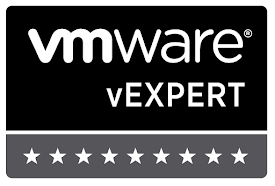 This method worked in vSphere 4.1 Update 1. Later revisions should too, not sure about earlier versions.